Pep Guardiola has coached some great players throughout his managerial career, but it seems that over the past couple of years, the Spanish tactician has taken a liking into developing young German talent. In his days of coaching Bundesliga giants, Bayern Munich, Guardiola nurtured Joshua Kimmich, grooming him to be one of the finest German prodigies of his generation. Guardiola helped Kimmich to be the man who can do it all and fill the void left by club-legend, Philipp Lahm. The former Bayern and Barcelona boss seems to be onto something with young talent, and this season, yet another German has flourished under his tutelage. Signed by Guardiola last year from Schalke in a £37 million deal, Leroy Sane has taken the Premier League by storm, netting 11 goals in 37 appearances, while also providing 12 assists. His contributions this season have helped Manchester City sit comfortably at the top of the Premier League table, eight points clear of their local rivals, Manchester United. Although he has often been overshadowed by City teammates, Kevin De Bruyne and David Silva, you cannot question the progress Sane has made under Guardiola. Fellow Germany and Citizen teammate, Ilkay Gundogan, has heaped massive praise on the 21-year old winger and explained what makes him so dangerous. “He manages to make the right decisions in specific situations more and more often,” Gundogan said in an interview with SPOX.com. “This makes him extremely dangerous. He is one of the most talented young players I know on earth. “He integrated himself very well and brings an easy-going attitude to the team, on and off the pitch,” he said. Unlike some other Germans plying their trade in the Premier League, Sane never goes missing in the big games. He made his debut in the Manchester Derby for City, however, failed to score. He then faced Arsenal, where he struck his first goal in sky blue colours, before getting injured. Much to the delight of City fans, Sane returned from a lengthy spell out to find the back of the net against Tottenham's Hugo Lloris. This season, he also scored two stunning strikes against Liverpool in what was one of Sane's best performances to date. Along with Kimmich, Guardiola has made some of the biggest stars the players they are today. Thiago Alcantara, Gerard Pique, Pedro and Sergio Busquets were all given their debuts by Guardiola, while some would even say that Lionel Messi played his best football under his management. 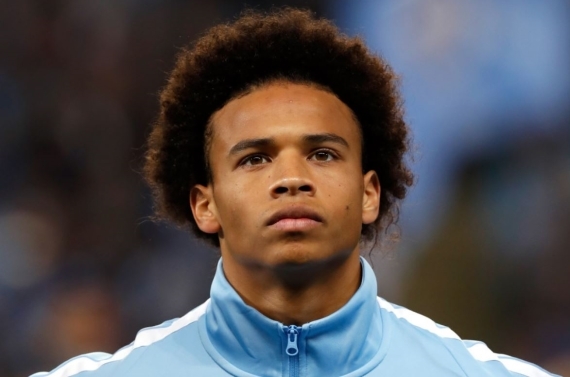 If Sane can keep up these sort of performances, he could definitely be on course to be one of the Premier League's greats, and at just 21 years old, the German winger has all the capabilities to go on and become a world beater. When you speak of "second seasons", it's usually involves Jose Mourinho, but with Pep getting Man City playing the brand of football that he has instilled in his teams since his Barcelona days, it's hard to see any side stopping them, while Sane, along with a few other City stars, are certainly favourites for some individual awards.